By Philip F. Williams Ph.D. and Yenna Wu Ph.D. Titles in Barron's Easy Way series are self-teaching manuals that cover a wide range of subjects and skills. Among them are several language-learning books for beginners. 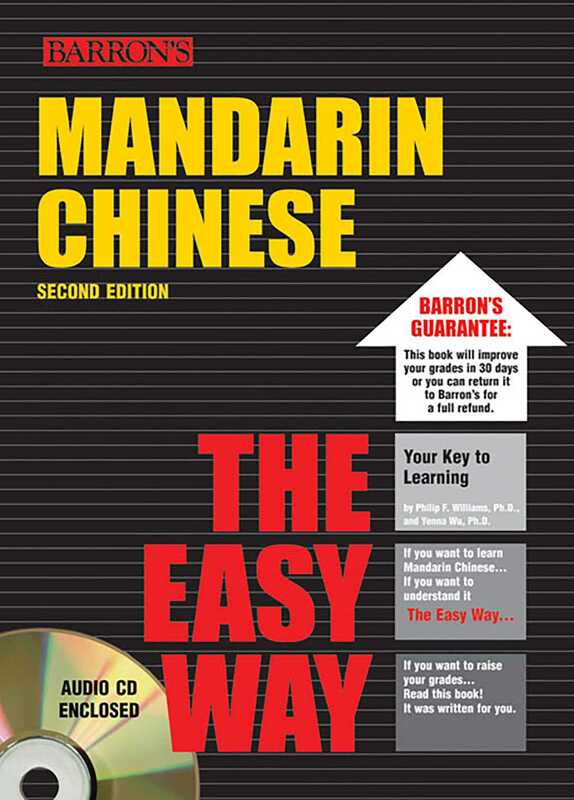 This second edition of Mandarin Chinese the Easy Way comes with an audio compact disc that supplements the book, providing pronunciation help and listening comprehension material in the form of spoken dialogues. This book-and-CD combination introduces basic sentence patterns and practical vocabulary by dramatizing many true-to-life and often humorous conversational situations in Mandarin Chinese. An introduction to Chinese written characters is presented in the book's final chapter.